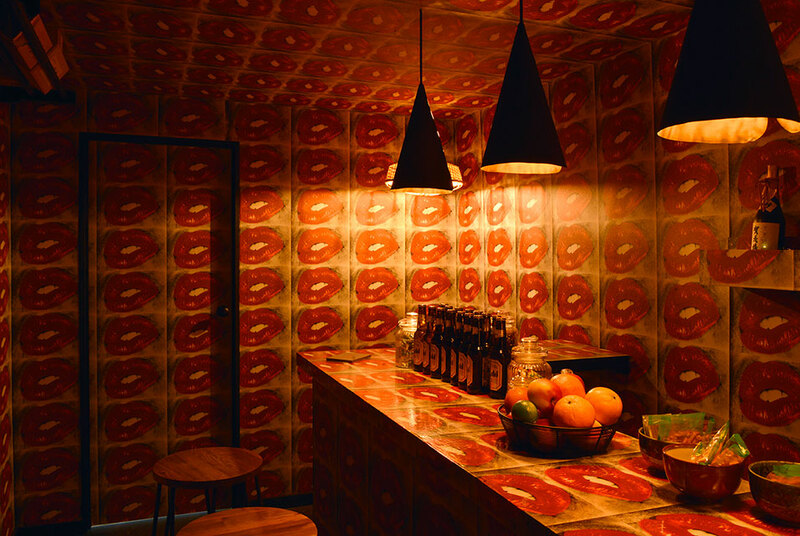 Hamiltons Lip Bar installation in Prismes, available in an edition of 3, replicates Bar Kuro, a small bar in Shinjuku. © Daido Moriyama, Courtesy Hamiltons Gallery, London. PARIS.- Daido Moriyama is one of the few living modern masters of photography from Japan and the most celebrated photographer to emerge from the Japanese Provoke movement of the 1960s. Hamiltons is presenting Moriyama at Paris Photo, both on the stand and in a special installation in PRISMES. The work exhibited on the stand has been produced exclusively for Hamiltons booth at Paris Photo as a silkscreen on canvas. Moriyama himself is attending Paris Photo this year in honour of the installation and will be in conversation with Simon Baker and Akio Nagasawa as part of the fair programme on Friday 9th November. Moriyamas work is notoriously gritty and challenging, often recording the breakdown of traditional values in post-war Japan. Haunted by the American occupation of the country in the aftermath of World War II  the social and cultural shifts, industrialisation, urbanisation and the clash of capitalism with a traditionally insular society  he alludes to the struggle between tradition and modernism, spirituality and commerce, conveying societys conflicts through a new visual language. Moriyamas work is epitomised by black and white with shades of grey, in which his high contrast and grainy style often echoes the subject matter. Emerging onto the photography scene in the mid-1960s, Moriyama broke with widely regarded conventions and questioned what constituted acceptable subject matter. He is attracted to what he describes as a dim light in a shadowy environment. Unquestionably difficult to characterise in one way with reference to a single body of work, Moriyama has taken tens of thousands of photographs since the midsixties and his complete works include black and white, colour, Polaroids, screenprints, films, installations and silkscreens. In addition to the historical and social context of his work, Moriyama also draws influences from photographers and artists both within and beyond Japan. He worked under Eikoh Hosoe and is a contemporary of Shomei Tomatsu, Nobuyoshi Araki and Hiroshi Sugimoto. The influence of Andy Warhol is evident, as is the stimulus of William Klein, who visited Japan in the early sixties and with whom Moriyama celebrated a side-by-side retrospective at Tate Modern in 2012. Hamiltons Lip Bar installation in Prismes, available in an edition of 3, replicates Bar Kuro, a small bar in Shinjuku. Moriyama frequented the bar for years and was familiar with its owner Mama (a term used in Japan for female owners of these minute bars). Mama, an eccentric lady, has an unusual way of treating her customers not as politely as might be expected from a host. Her personality and unique approach to hospitality has become part of the experience at the bar attracting many visitors, particularly an artistic crowd. Mama herself is a contemporary artist and she organized a festival in 1999 in the district called GAW (Goldengai Art Waves), inviting artists to display their work. This festival became a local success - its 8th edition in 2013 is the most recent. In September 2005, Mama asked Moriyama to take part and he chose to cover her bar with his lip image and the Lip Bar was created. Moriyamas contribution to the photographic world in both Japan and the West is profound, exhibiting globally in a number of solo and group exhibitions including a solo exhibition at Fondation Cartier, Paris (2016), The Tokyo Metropolitan Museum of Photography (2008), San Francisco MOMA (1999) which travelled to The Metropolitan Museum of Art, New York and Tate Modern William Klein + Daido Moriyama (2012) a joint retrospective with William Klein. Moriyamas work is held in numerous public and private collections and he has been awarded the Lifetime Achievement Award at the Annual Infinity Awards from International Centre of Photography, New York (2012) and The Photographic Society of Japan Lifetime Achievement Award, 2004, amongst others. He has also published multiple photo-essays and photobooks.